This bi-directional RF coax Splitter/Combiner can be used for various TV RF/coax setups. It is ideal for and coaxial cable operations for CATV, SMATV, CCTV surveillance system and so on. [Note]: This item is not intended for antenna or satellite use. 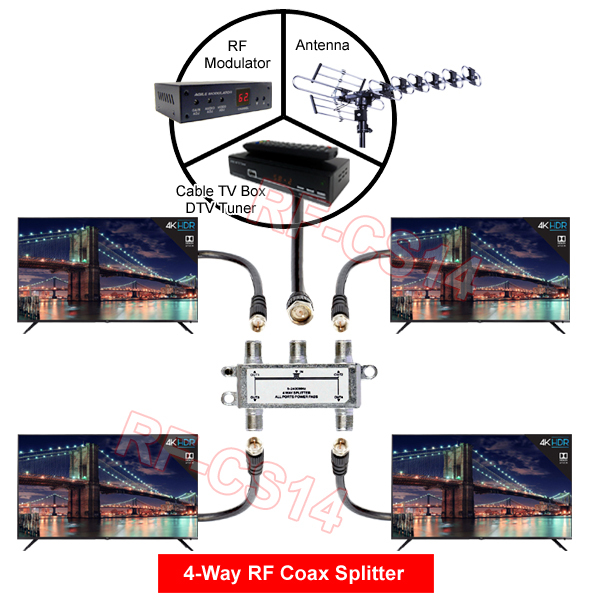 This RF coax splitter combiner can be used to divide one RF signal from CATV source into 4 identical RF TV signals for further distribution among 4 TVs. 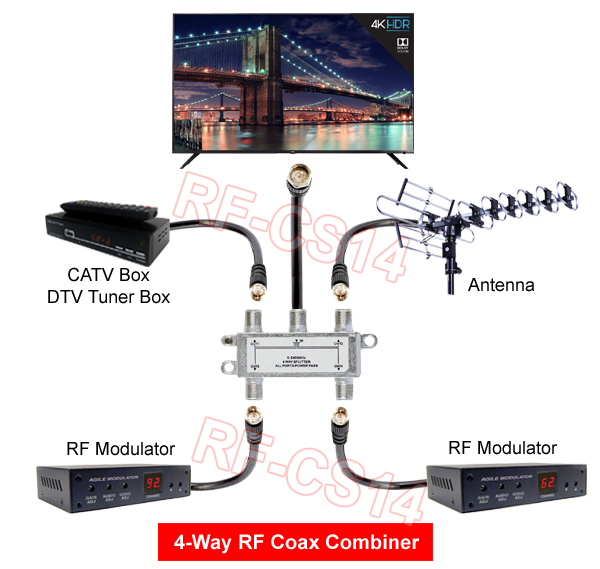 It can also work in the opposite way by combining RF coax modulated signals from multiple sources such as RF modulators, CCTV camera, cable box into one coax cable run. 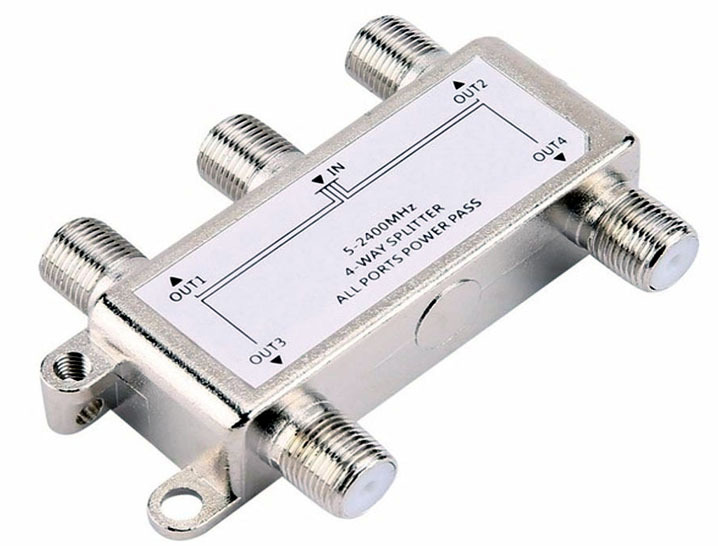 This bi-directional RF combiner/splitter provide 5-2400 MHz bandwidth. Use this 4-way splitter to connect or combine your electronic applications with ease. Low insertion loss with high isolation, built for excellent performance. Can be used as a RF coax splitter for splitting signal from a RF coax source into multiple ones. Used as RF coax combiner for joining multiple RF coax signals into one run. Tin-plated Zinc die-cast housing to prevent corrosion. Accurately split or combine your cable TV signals. Distribute one RF coax TV line for 4 TVs or receiving devices. Merge 4 RF wired cable TV lines into one for further distribution. high isolation, perfect performance index. RF shielded die cast housing for absolute minimal insertion losses. Low insertion loss, high isolation, perfect performance index.